Bitcoin difficulty has topped 50,000,000,000 for the first time ever, reaching an all time high of 51,076,366,303, as the price of Bitcoin continues to rise on the Eurozone crisis in Greece and the stock market crash in China. The Bitcoin network from a mining perspective has still remained quite healthy even during an extended price slump, as the technology improves and bigger players with lower operational costs with economies of scale have entered the mining market. The recent increase in difficulty on July 11, 2015 comes after a slight decline in Bitcoin difficulty during the last update on June 28, 2015, when the network difficulty dropped by 0.58%. 2015 has seen many gyrations in the mining difficulty, with several drops and rises so far, but the overall difficulty still remains higher than what it was at the beginning of the year, with a Year-To-Date increase of 25.7%. 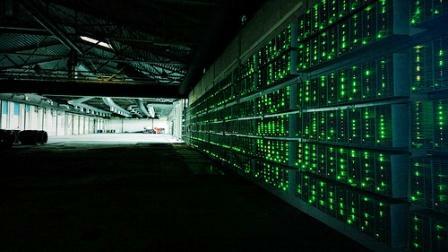 Bitcoin mining is at an interesting crossroads for the next few months, as miners will need to prepare for the next mining rewards halving event sometime next year. This will be a major event compared to the last time around when mining was still more of a hobbyist endeavor. Today, mining is being done by very well capitalized companies worth hundreds of millions of dollars. In fact, just last week, BitFury, a Bitcoin mining company, raised another $20 million. The price of Bitcoin also affects Bitcoin mining and hashrate increases/decreases, since if the price of Bitcoin rises sharply compared to network difficulty, then older hardware can once again become profitable to operate, and miners will be quick to do so. This will cause the next difficulty to increase, continuing the cycle. However, hashrate adjustments occur only once ever 2016 blocks, so there is a lot of time for miners to bring their equipment online before they push the hashrate up. Bitcoin’s price has been steadily rising over the last month over debt concerns in the Eurozone, especially with a potential ‘Grexit’ scenario in Greece, that could potentially cause bank-runs in rest of Europe if handled improperly by the European governments. In addition, China’s stock market has been rapidly falling in the last couple of weeks, prompting the government to take steps to try and bolster confidence in the market. Even the mainstream media has run several articles touting Bitcoin as a safe-haven asset during economically uncertain times.